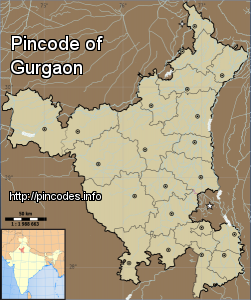 Gurgaon (/ˈgʊrgaʊŋ/) is a city in the Indian state of Haryana located immediately south of the National Capital Territory of Delhi, 32 kilometres (20�mi) southwest of New Delhi and 268 kilometres (167�mi) southwest of Chandigarh, the state capital. 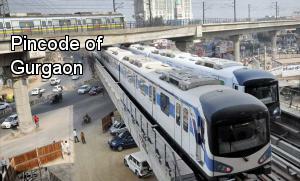 As of 2011 Gurgaon had a population of 876,824. Witnessing rapid urbanization, Gurgaon has become a leading financial and industrial hub with the third highest per capita income in India. Historically known as Gurugram, the city's economic growth story started when the leading Indian automobile manufacturer Maruti Suzuki India Limited established a manufacturing plant in Gurgaon in the 1970s. Today, Gurgaon has local offices for more than 250 Fortune 500 companies. The Gurgaon police arrested the man for allegedly faking his own kidnapping to get Rs three crore from his family members in order to buy a high-end car. The deceased`s mother told police she received a message from her son on Saturday that "he was under tremendous stress."